Get your personalized keepy up coordination game that is soo addictive! 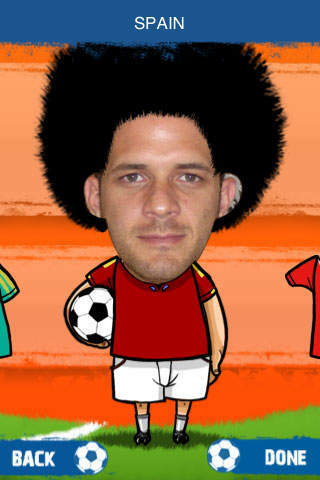 Beat all the records and customize your options by choosing the face, hair, and team shirt of your keepy up character! Get ready and Keepy Up!! How are your keepy up skills? Try to accumulate as many touches as possible. The world record for the official keepy up was made by a man from London who did it for 24 hours with an estimated 250,000 touches! 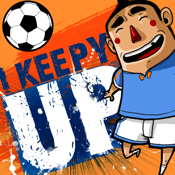 Now compete this keepy up record from your iphone!! Make the look of this applictation fit your liking. Don´t wait another minute. Beat everyone´s record and feel good!
. Addictive and entertaining game while trying to beat records.
. Choose an photo for the face, use your own or a friend´s.
. Decide the hairstyle, from an afro to dorky side part.
. Choose your team colors for your shirt design.